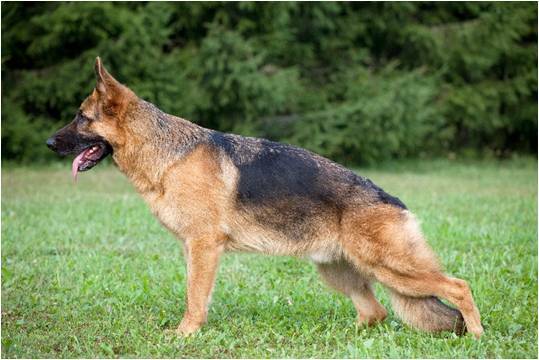 Hip dysplasia is a common condition among dogs, particularly large and giant breeds. Small dogs can be affected but they are less likely to show signs. Hip dysplasia occurs when the ball of the hip joint does not develop normally and as a result fails to fit snugly into the hip socket. 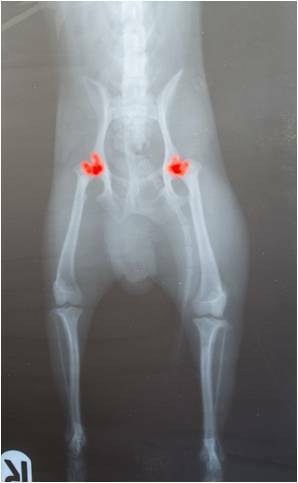 There are two main types of hip dysplasia: early onset and late onset. Early onset tends to begin affecting the dog from the age of 4 months, while they are still growing and developing. Late onset refers to hip dysplasia that occurs as a result of osteoarthritis which causes the gradual deterioration of the joint cartilage. The condition is usually caused by genetics but obesity, nutrition and pelvic muscle mass can all contribute to the development of hip dysplasia. Some dogs breeds are more susceptible to hip dysplasia than others. If you suspect hip dysplasia in your dog, see a vet. They will perform a full physical examination, blood count and chemical profile, electrolyte panel, urinalysis and take x-rays of the area and hip scoring tests. Unfortunately there is currently no full cure for hip dysplasia, though there are many ways to help symptoms and increase the dog’s quality of life. Mild cases can be eased with anti-inflammatory and pain-relief medications. In more severe cases, surgery may be required. There are two types of surgery for hip dysplasia – those which change the hip joint’s shape to improve movement and relieve pain and hip replacements, which (similarly to human hip replacements) replace the damaged joint with an artificial hip joint. If surgery is not an option, weight control and exercise (along with a course of medication) are often the best ways to control symptoms. Less weight means less pressure on the hip joint, and exercising regularly reduces joint deterioration and loss of hind muscle mass. 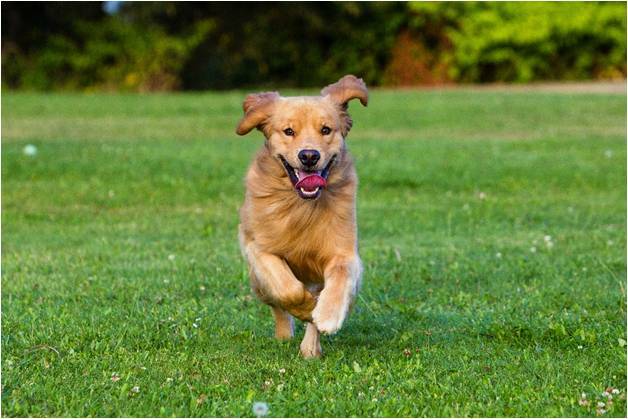 While many cases are genetic, you can help prevent late onset hip dysplasia by managing your dog’s weight and making sure they get enough exercise to prevent any unnecessary pressure being placed on your dog’s hip joint which could lead to osteoarthritis and possibly hip dysplasia.